STALGO processes general input. STALGO not only takes polygons or polygons with holes as input but accepts any planar straight-line graphs as input, i.e., any arrangement of straight-line segments that do not intersect in their interior. STALGO computes mitered offset curves and roof models. Mitered offset curves and roof models can be easily computed from the straight skeleton in an efficient and reliable fashion. To learn more about STALGO, straight skeletons and applications, you may visit my web page on our research conducted on straight skeletons. The source code of STALGO is available for academical and commercial use. However, please note that STALGO is not in public domain. For details on how to obtain STALGO, I would ask you to contact Martin Held. Stalgo has been developed under Linux (g++ -ansi -Wall -Wextra -Werror -pedantic), but it has also been compiled in a Visual C++ 2010 development environment with the Solution files generated by cmake. The straight skeleton of the font outline of 'Stefan Huber'. 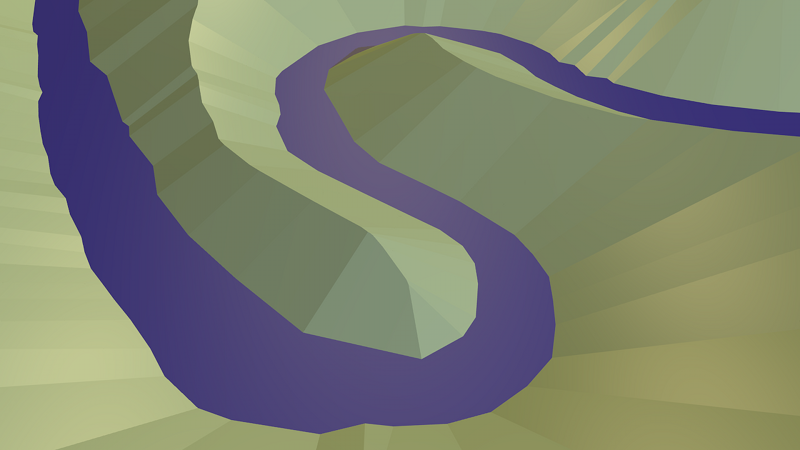 Some offset curves of the left dataset. A planar straight-line graph with vertices of degrees 1, 2, 3 and 4. A tribute to the Linux operating system: the straight skeleton of its mascot, the Linux penguin Tux. Note that the input does not only consist of simple polygons. Some offset curves of the left dataset. 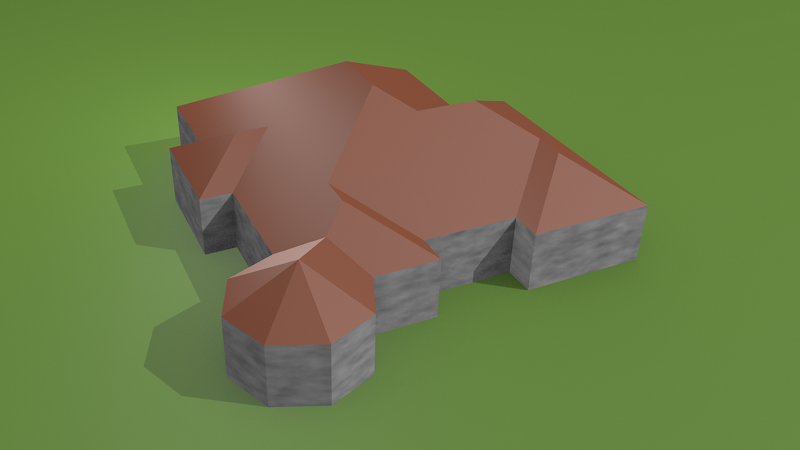 A roof model generated by STALGO using the straight skeleton of the polygon formed by the walls. The rendering was done in Blender. A terrain model generated by STALGO. The present terrain illustrates the Schlögener Schlinge, a part of the Austrian river Danube. The river bank serves as input. A straight skeleton of a map of india, containing 16530 vertices.